Despite being in the northeastern corner of the United States, Bangor isn't exactly in the middle of nowhere, as some people might think. In fact, the city is well-connected to the rest of the world, thanks to Bangor International Airport, Interstate 95 and U.S. Route 1A. Bangor International Airport brings Bangor to the world and the world to Bangor, with more than four dozen scheduled flights daily. Converted from the former Dow Air Force base in 1968, Bangor International Airport is a major refueling and customs stop for European flights into and out of the United States. Served by major U.S. carriers Northwest Airlink, Delta, American Eagle, U.S. Airways, and Continental, Bangor International offers more than 70 flights daily. The airport is recognized by the airline industry for its well-kept runways during harsh winter storms. While Boston's Logan Airport and New York's La Guardia and JFK airports may be closed during a violent snowstorm, Bangor is usually open for business and accommodating hundreds of overseas travelers. Three bus lines provide service to Bangor. Cyr Bus Line, which operates out of Old Town, provides regular service from Bangor to northern Maine and tours to events in Boston, Quebec City, in addition to regular trips to Foxwoods Casino in Connecticut. In addition, the company offers motor coaches and school buses for lease. For more information, visit Cyr's Web site, write to info@cyrbustours.com or call (800) 244-2335. Concord Trailways provides daily service from Bangor to South Station in Boston and points between, as well as to northern Maine. Express service via Interstate 95 is available from Bangor to Boston, or you can opt for the coastal route and take U.S. Route 1 through Maine's coastal communities, such as Belfast, Camden, Rockland and Brunswick. The express and coastal routes go through Portland. Concord's Bangor station is at 1039 Union St. It is within walking distance of Bangor International Airport and along the Bangor city bus route. For more information, visit Concord's Web site, write to concordtrailways@fcgnetworks.net or call (800) 639-3317. The Bangor station telephone number is (207) 945-4000. Greyhound Lines also serves Bangor. Its station is at the corner of Main and Union streets downtown. Greyhound provides service along U.S. Route 1, with stops from Portland to Bangor. For more information, visit Greyhound's Web site, call (800) 229-9424 or write to ifsr@greyhound.com. The telephone number for the Bangor station is (207) 945-3000 and (800) 454-2487 for charter information. The Bat provides service throughout Bangor and to Veazie, Orono, Old Town, Brewer and Hampden. Bangor and its surrounding towns are served by The Bat, operated by the city of Bangor. The Bat runs Monday through Saturday and serves all of Bangor and parts of Hampden, Brewer, Veazie, Orono, the University of Maine, and Old Town. 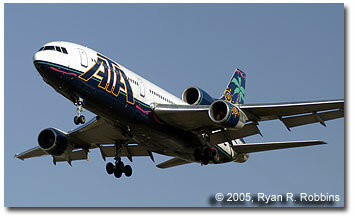 Fares are inexpensive, and passengers can buy a book of tickets at a discount when boarding. The bus station is at the Pickering Square Parking Garage in downtown Bangor. Bus service within Bangor begins at 6:15 a.m. and ends at 5:45 p.m. on weekdays. On weekends, The Bat runs on a varied scheduled depending on the route. Some buses begin running at 9:15 a.m. while others begin running before then. Schedules are available for free on each bus. Passengers can obtain transfers for free when transferring from buses within Bangor, and for a small fee when transferring from buses to and from outside the city. For more information, you can call The Bat headquarters at 947-0536 or visit its Web site. 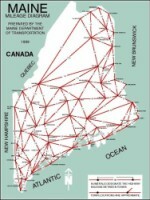 The Maine Department of Transportation offers this mileage map to give motorists a general idea of distances between popular destinations in the state.